- Forest green candle, scented with clove, cinnamon, nutmeg, myrrh, citronella and rain oils. "May prosperity flow freely through my life. I sense a natural attraction to wealth and its comforts. Let me embrace prosperity in all forms." 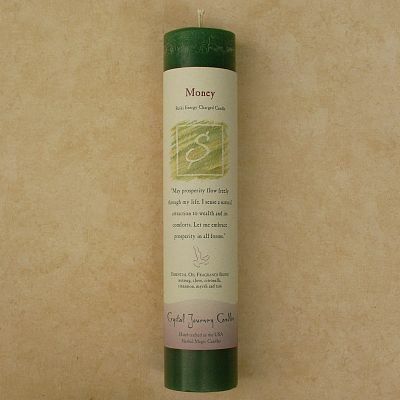 Do you have any other questions about our Reiki-Charged Money Pillar Candle?